Sunderland boss Simon Grayson has confirmed that young striker Josh Maja is training with the first team again – and says injured striker Lewis Grabban will be back in action ‘very soon’. Maja has been missing since his promising pre-season was cut short at Bradford due to injury, while Grabban has been missing for a month with a hamstring problem. Grayson said: “[Lewis] is working well with the physios, it’s a procedure we’re going through, we don’t rush any player back so we have them for the long, not the short-term. But he’s making good progress and I’m sure he’ll be back in a red and white shirt very soon. “[Josh] is back training with us now. It was a big blow for the lad, he’d waited patiently for his opportunity, worked hard in pre-season, looked very good, strong and powerful. “It was a big blow for us a team when we were looking short at the top end of the pitch. When he’s back there’ll be great competition, I’ll be able to look at my bench and have players who I can say, go and change the game. “The competition for places should really come to the fore now, with players pushing each other. You saw the work rate at Preston, that’s standard, the supporters demand it and I demand it. 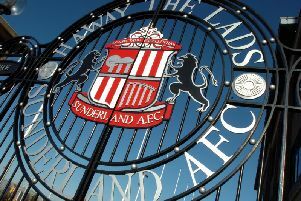 Grayson also insisted that he will not rush Paddy McNair back to first-team action – and will handle his return the same as he has with Duncan Watmore. However, he expects McNair to make a big impact when he does return. He said: “When you look at Paddy, he was a big signing at the time. He’s a versatile player which is vital, they’ll go and and play anywhere and give everything.